Our revolutionary manufacturing process gives owners piece of mind with a 50 year guarantee on the chassis and the external construction. 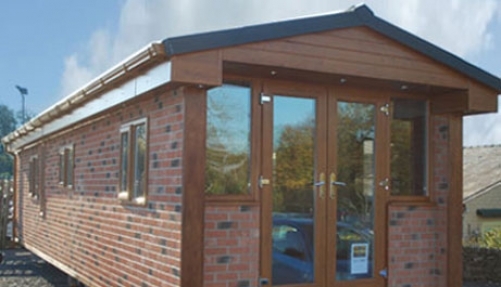 With over 60 brick, 40 stone and 30 wood external finishes, generous interior layouts and a massive array of furnishings to choose from, you can create a beautiful, bespoke home, which will fit into any environment from a glade to a beach front site. All the homes are constructed with 154mm external cavity walls. This new revolutionary system allows all gas, water, electric and other services to be ran in the wall cavity, eliminating traditional unsightly pipe work often associated with other types of holiday homes. 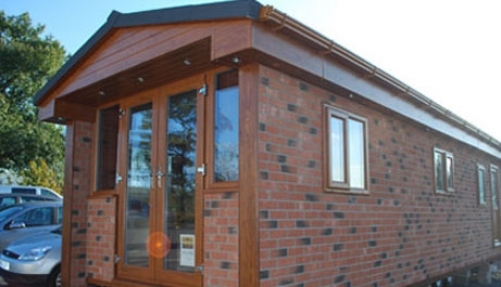 Our new manufacturing process means that our homes can be lived in all year round. Our insulation values have never been reached before, keeping you warm in winter and cool in the summer. 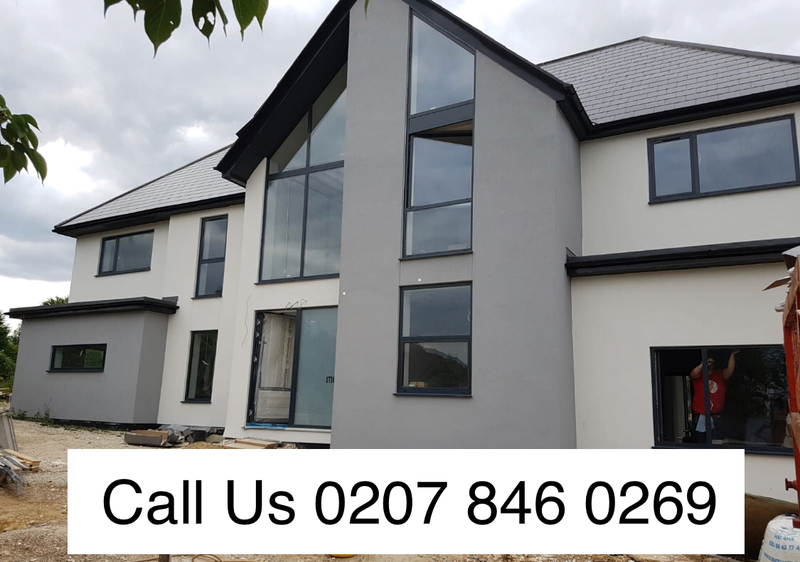 Our unique construction means you can fit bi-folding doors, double glazed windows and doors 70mm thick with 28mm double glazed K-Glass windows throughout. Bathrooms can have traditional ceramic tiles or waterproof panels. 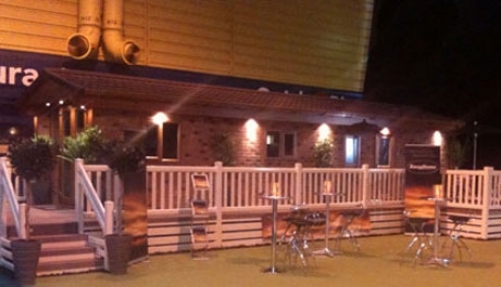 We can even fit solid glass roofs over the kitchen and living area and with our sunlight model; you can have a sun lounge on the roof with an external staircase for access, doubling your external leisure space. 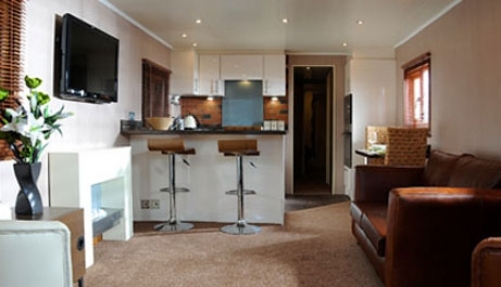 Enjoy the security and comfort of Lodge Living, in a mobile home. 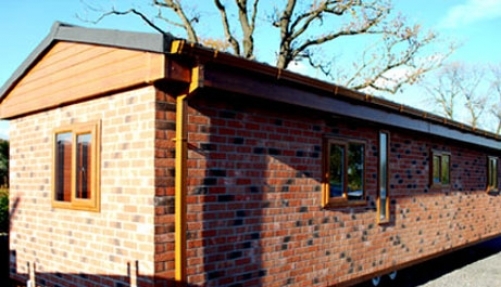 Welcome to the future of holiday homes, welcome to UK House Extensions.